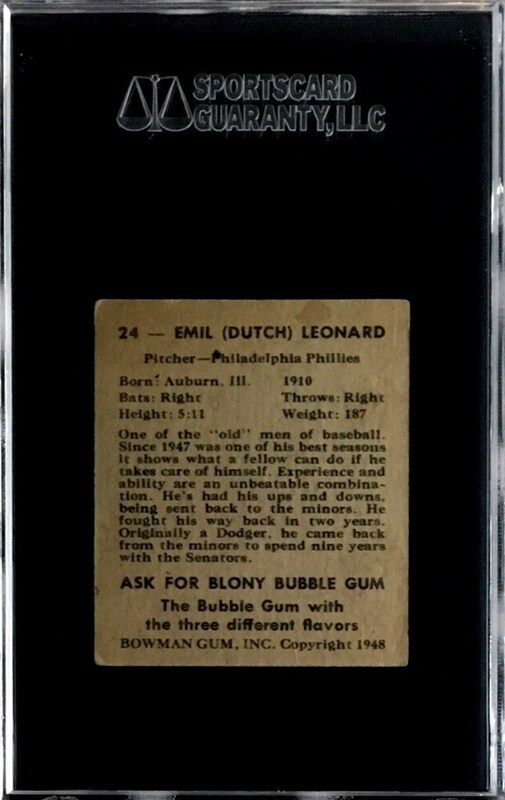 Up for your consideration is a 1948 Bowman #24 Dutch Leonard SP card. Dutch enjoyed a 20-season career and terrorized batters with his famed knuckleball. 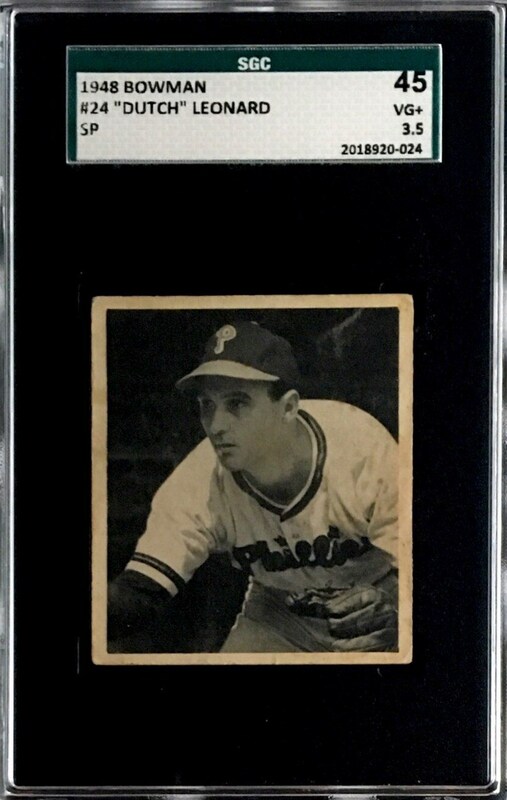 This short printed card has been graded an SGC 45.